What’s the Bottom Line: Is Red Meat Healthy or Not? 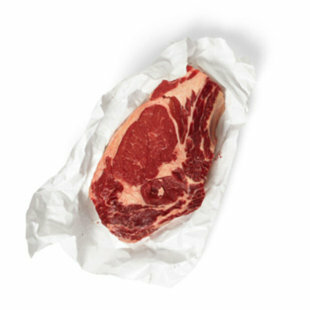 Praised by Paleo Diet advocates and shunned by vegetarians, red meat certainly is a controversial food. And that controversy extends into the research world, where red meat and its impact on our health has been the subject of numerous studies…with conflicting results. On the one hand, red meat offers clear nutritional benefits. Red meat (like beef, bison and lamb) provides good-quality protein and is also rich in nutrients, such as energy-supplying iron, zinc and vitamin B12 and immunity-supporting selenium. It also, however, harbors saturated fat. And then there are these other pros and cons, which Jessica Girdwain reported on for the September/October issue of EatingWell Magazine. When 36 people with high cholesterol following a diet of mostly fruits, vegetables, whole grains and legumes ate 4 to 5.5 ounces of lean beef a day, they lowered their "bad" LDL cholesterol by about 10 percent, writes researcher Michael Roussell, Ph.D., in the January 2012 American Journal of Clinical Nutrition. What's more, the fat content--called triglycerides--inside their HDL particles decreased, which may help HDL particles to better scavenge excess cholesterol and carry it out of the bloodstream. Roussell attributes his findings to beef's unique fat profile. Beef contains two fats--stearic acid, a saturated fat, and oleic acid, a monounsaturated fat (also found in olive oil)--that have been shown to help improve cholesterol levels. However, beef also contains other kinds of saturated fat--like palmitic acid and myristic acid--that raise cholesterol. In a new Australian study, women who reported eating 1 to 2 ounces of beef or lamb a day were half as likely to have major depression or anxiety disorder compared to those who ate less than 1 ounce daily. That may be because beef and lamb in Australia are typically grass-fed, "which means their meat is higher in omega-3 fatty acids, which appear to be protective against anxiety and depression," says lead author Felice Jacka, Ph.D., of Deakin University's School of Medicine. Because grilling meat doesn't require added fat to cook, it's a waistline-friendly cooking method. The bad news? As the drippings melt off and hit the fire below, compounds called heterocyclic amines (HCAs) are created and drift back up into the meat. Research has linked HCAs to cancer, says Roussell. Try adding dried rosemary to your favorite marinade before grilling, which one study in The Journal of Food Science found reduced the formation of HCAs by 60 percent. And avoid eating the crispy, charred bits. So what to do with all this information? If you like red meat, eat it in moderation. Two 3- to 4-ounce portions of red meat per week is considered healthy, says Roussell. To keep calories and saturated fat in check, buy lean cuts, such as flank steak, New York strip and tenderloin, and trim off excess fat. Do you limit how much red meat you eat?